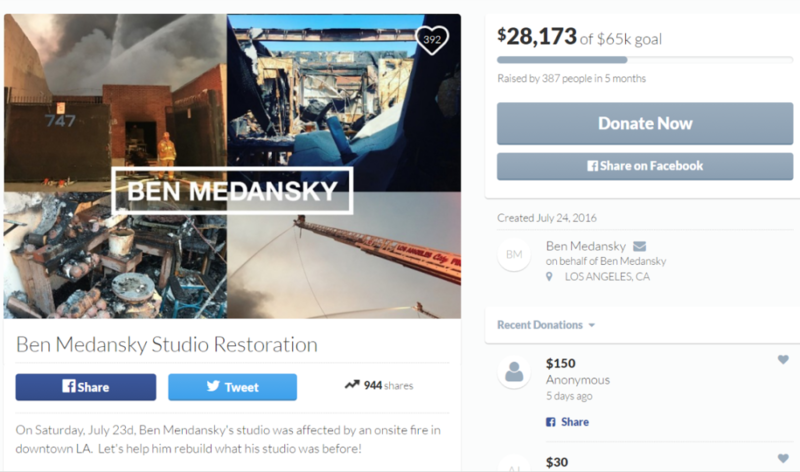 Crowdfunding has become a standard source of raising money to help an artist recover from an emergency. In addition to applying for and receiving assistance from organizations such as CERF+ after an emergency, crowdfunding may be an option for you or an artist you know who has had an emergency. If you have a compelling story, a good network of supporters, and someone who can champion your cause and help with the details, you can start a successful campaign. A crowdfunding campaign can be managed by a friend or family member of the person recovering from the emergency. Using a crowdfunding platform like YouCaring.com or GoFundMe.com is not essential, but most find that the features these systems provide worth the cost. A crowdfunding campaign is more likely to meet its goal when a team of supporters is working on the effort. The larger the social network the recipient and each team member has, the better. Tell your story in a compelling way. Photographs are very important and campaigns with at least one video are more likely to be successful. Those managing the campaign should be provide updates at least weekly and be responsive with quick “thank you” notes as well as replies to comments. Spreading the word about the crowdfunding effort through personal email lists, Facebook friends, Instagram, Twitter and other social networks is important as the campaign progresses towards it funding goal and deadline. Create a crowdfunding account, set up your profile and tell the story of the artist in need. Here are some things to consider when putting this information together. The Cause: Make it clear in the beginning of the story who the campaign is for, why it is needed and how donations will make an impact. Give plenty of details later in the story, but the first paragraph or two should get to the point and inspire the reader to help. The title for the campaign should include the name of the person in need, be short and clear, and work well with the featured photo or video. Photos: Upload photos of the person in need and those related to the emergency. Gruesome photos are inappropriate, but if the individual was in an accident, for instance, a photo of him or her in the hospital giving the “thumbs up” sign would be a good choice. Most crowdfunding websites have you choose one of the photos to highlight for the fundraising page. More photos can be added to the fundraiser as time goes on. Videos: If you have a related video that would be appropriate for the campaign, add the link. Or, create a video on your mobile device. According to fundrazr.com, fundraisers highlighted with a video are twice as likely to reach their goal, and according to indiegogo.com, fundraisers with a video raise 115% more money than campaigns highlighted with just a photo. Goal Amount: Make sure the amount you hope to raise is reasonable relative to the need and is achievable. If the goal is going to be reached and the need increases, the amount can be increased. Fundraiser Deadline: Crowdfunding websites usually require an end date for the fundraiser. While most crowdfunding campaigns last a couple of months, the deadline should make sense for the need. If the deadline it is too soon, you may not give yourself time to fully spread the word, and if the deadline is too distant, people may put off contributing. Spread the Word. The most successful campaigns connect to potential supporters in a number of ways and throughout the effort. Plan to get the momentum going early and take steps to keep it going to keep others engaged. Connect with those closest to the person in need and the most likely to donate first. Others will see the fundraiser is off to a good start and be more likely to contribute. Forward the campaign to the personal email contacts of the person in need and those of the team members. Ask recipients to forward the email on to their contacts. Although connecting through online social networking is important, indiegogo.com has found that the average contribution through email is about 20% higher than contributions through other sources. Post the fundraiser to the Facebook page of the person in need and those of the team members. Ask others to do the same. Tweet it as well. Consider creating a Facebook page and Twitter account specifically for the fundraiser. Some crowdfunding sites even have free fundraiser widgets available for supporters to add to their websites. Provide updates at least weekly; on the fundraising site, in emails, FB posts, and tweets. Updates can include photos and videos, as well as text updates to the story. There will likely be milestones during the recovery that will be important to include in an update. Continue with occasional updates even after a successful fundraiser. Thank each donor. This is important! Most crowdfunding sites include the capability to respond to each donor as the contributions come in. Reply to comments. Most crowdfunding sites allow friends and supporters to comment, either privately or publicly, and include the capability to respond. Make sure the person in need or one of the team members does so, and in a timely fashion. 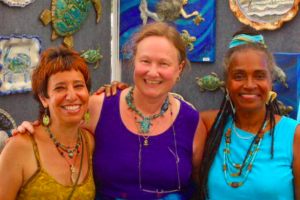 Fundraisers for artists impacted by an emergency or disaster are dealing with serious, sometimes life threatening issues. However, it is important to be positive and creative in a campaign. This is likely to be easier for the folks helping the artist in need. Here are some ideas from those who have planned and managed successful crowdfunding efforts. Consider spreading the word about the campaign beyond the internet. Contact the local news media. Hold a fundraising event or sale. Most crowdfunding platforms allow the organizer to add dollar totals from offline fundraising events and mailed in checks to the online campaign record. Though more often associated with fundraising campaigns for creative projects on sites such as Kickstarter and Indiegogo, providing incentives for larger contributions could be appropriate. Friends and others close to the person in need could offer to perform some feat to challenge donors to meet the goal. Be creative. Do 10 push-ups, make a small piece of art. GiveForward site costs and processing fees (7.9% plus $0.50 per donation) are set up so the contributor is likely to pay, and most do. GiveForward is primarily used for personal emergencies associated with illness or injury. FundRazr site costs and processing fees are paid by the recipient and are comparable to fees of other sites. It’s used for nonprofit and startup crowdfunding as well as personal causes. FundRazr’s tips. KickStarter has takes a 5% fee if you don’t reach your fundraising goal, in which case there is no fee and the funds are returned to the donors. The credit card processing fee can vary from 3% to 5%. KickStarter tips. Indiegogo has a 4% site fee unless you don’t reach your fundraising goal, in which case it’s 9% if you keep the funds raised or 0% if you return the funds to the donors. The credit card processing fee can vary from 3% to 5%. Indiegogo tips. CrowdRise is primarily a tool for raising money for charity and community causes, but it’s also used for funding personal causes. The site and credit card processing fees are comparable to other platforms. FirstGiving is an online platform for nonprofits to manage online fundraising campaigns and for individuals to create campaigns in support of their favorite nonprofits. The site and credit card processing fees for the nonprofits are comparable to other platforms, and there is an option for the donors to pay the fees. FirstGiving tips. Causes is not a fundraising tool, but it’s the most active online campaigning tool for nonprofits and community causes. Top business crowdfunding campaigns of all time from Forbes.